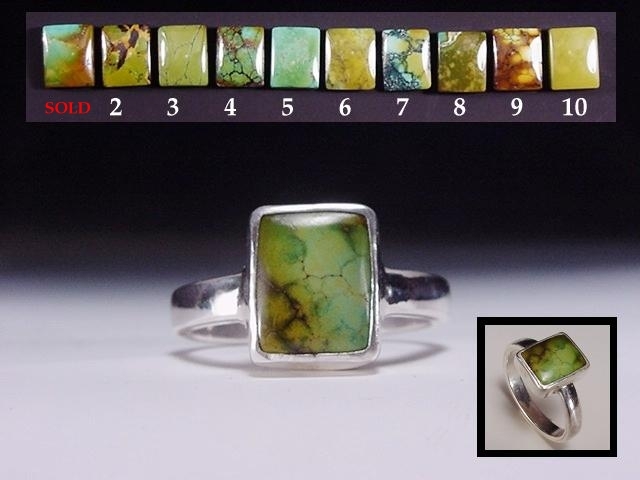 Beautiful natural turquoise from China with jasper-like patterns, rectangle cut. Available made to order any size with above stones 1-10. The finished ring shown is size 7 1/2 and is currently available.